Bolton's Italian Restaurant in Moorgate, London. Fine Italian Dining. At Bolton’s restaurant our philosophy is simple, we are inspired by the finest, freshest ingredients and the most authentic vibrant flavours. The team at Bolton’s have been serving their modern take on classic Italian dishes for over 30 years, using only the freshest ingredients and creating a popular place for diners to feel a little ‘La dolce vita’ in the heart of London. Our menu is like a journey around the best foods Italy has to offer, some of the highlights include our speciality imported Parma Ham, lobster spaghetti, penne with duck ragu or pappardelle with mushrooms. At Bolton’s we go to great lengths to research our wines so we can offer you not just the best wine but also the wines that are perfectly matched to the seasons and our dishes. Bolton’s Restaurant is also available for private parties in the evening for up to 100 people seated and 150 buffet style for evening functions/meetings. We also offer our Private Room for more intimate events. Reserve your meal at Bolton’s online. Bolton’s Restaurant in Cullum Street, London, located in the heart of the city, has opened it’s doors each week to provide fine Italian cuisine for over three decades. With a reputation built on culinary excellence we pride ourselves on the quality of service and food our customers have come to expect. Whether you are entertaining clients or simply soaking in our atmosphere and enjoying superb italian cuisine, Bolton’s Restaurant is a favourite London dining establishment providing a relaxing and intimate environment. We also have a separate private dining area available to book if you organising a business meeting or private booking.  Bolton’s Restaurant is also available for private parties in the evening for up to 100 people seated and 150 buffet style for evening functions/meetings and are happy to work with you to come up with your perfect menu. We’ve joined Top Tables gift card scheme. To buy a voucher for a friend or colleague follow the link below. Like Bolton’s? Why not try our sister venue Gattis on Ropemaker Street? Bringing you the same great food and service you expect from us we look forward to welcoming you. The host is Italian. The food and wine were superb. And my boss, who is Italian, loved it. Enough said. This a very upscale authentic Italian restaurant. We were there for a business lunch and it suited us well. Great wine list, large menu and servers are professionals. Other guest who has pasta dishes were very complimentary and my Milanese Veal was terrific. I will definitely try them for dinner next time I am in town. I think they will do a terrific romantic dinner for two. Excellent food and good service, smoked salmon starter was a healthy portion. nice wine selection as well, pinot grigio excellent.